I got introduced to Momos after moving to Singapore. My Chinese colleagues really love momos from this Indo Chinese restaurant. After my kids started to attend school they got used to Chinese food. 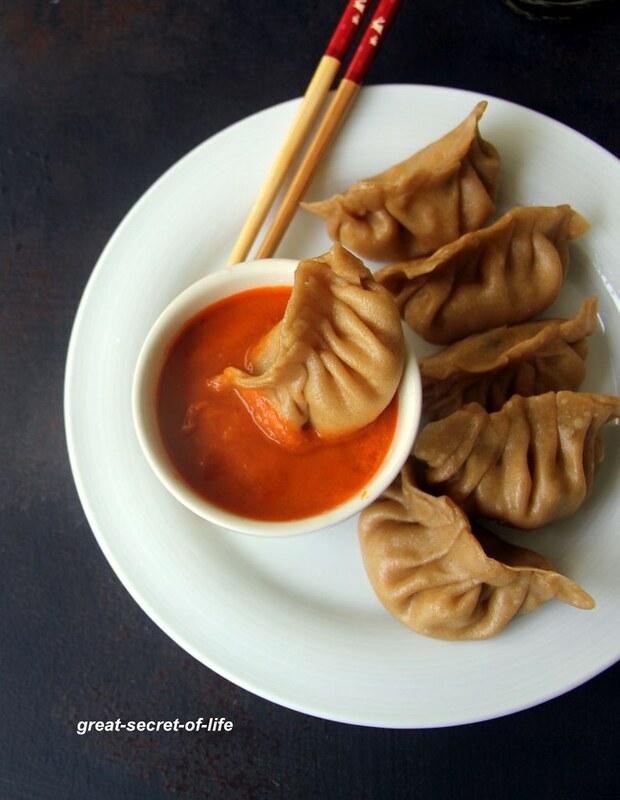 Momos is one their favourite dishes. 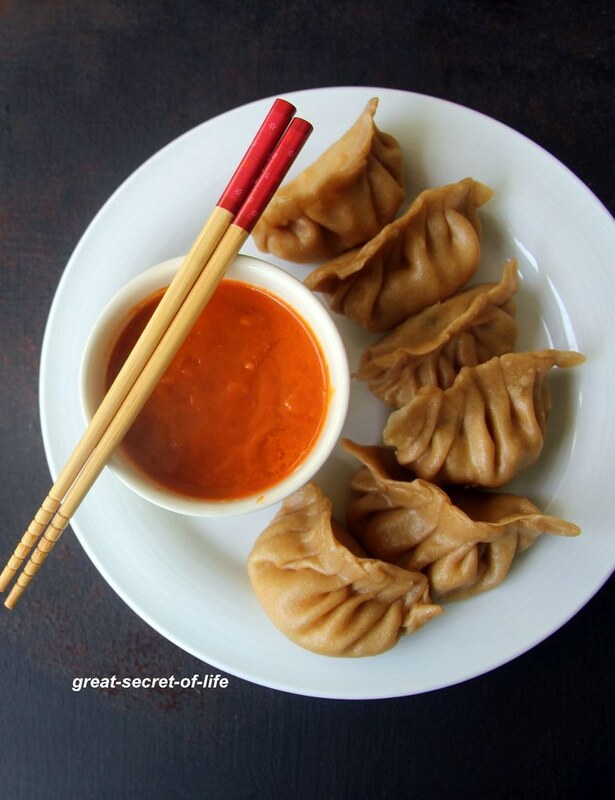 I normally make Veg momos / vegetable momos and fried momos. However both are with all purpose flour cover. However recently I have started using wheat flour. It came out good too. So for this recipe I have used Wheat flour. you can try out all purpose flour. Paneer is every kid's favourite so you can do this as an after school snack or as a teatime snack for weekends or holidays. Heat oil in a pan. Add Garlic and fry till slight brown in color. Let it cool down. Remove skin from tomatoes. Grind it with Chillies, garlic, salt. Heat pan. Add grinded paste, sugar & vinegar. Let it boil for 3 mins. Add Turmeric powder, chilli powder, garam masala and salt. Mix well. Fry for 30 sec. Add crumbled paneer. Continue to fry for a min in low flame. One of my favorites too, with whole wheat flour, you have made it very healthy too, they look so tempting with that chutney..
Wow! 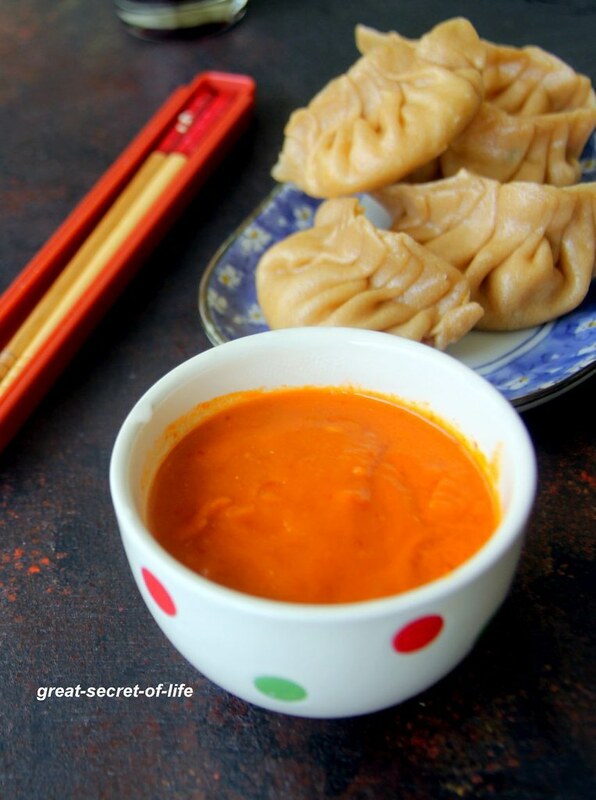 momos look awesome!! lovely filling too!